I've been encouraged to start Tweeting, so I'm setting up my Twitter account now! Once everything is in place, I'll send out a notice on Facebook and here on the website. I hope you'll all become followers! A nice review for "Sisters"! SPECIAL EBOOK DEAL FOR MOONLIGHT ON BUTTERNUT LAKE!! Readers, the ebook for Moonlight on Butternut Lake is now available on Amazon and Nook for $.199. This special offer is available until April 25! Happy reading!! Here's to the New Year! I'm hard at work on my fifth novel, which means the battle is on to find a quiet (but not too quiet) place to work. There's the local library, a nearby donut shop, and my living room. I have all my characters in place; now I just need to fine tune the story. And write, write, write. More soon! Yesterday I got final approval for the edited version of the fourth Butternut Lake novel, The Space Between Sisters! Going to celebrate tonight! 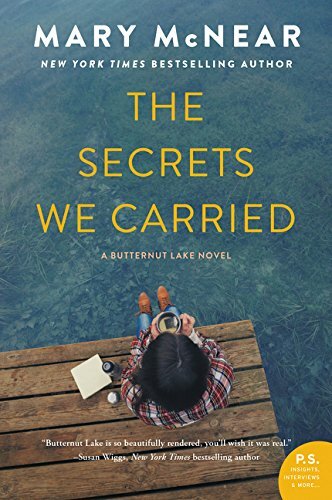 Just before Thanksgiving I finished my fourth Butternut Lake novel, The Space Between Sisters. I outlined and wrote and edited and wrote some more. But now it'd done! I'm waiting for final approval. Fingers crossed! I do have an approved cover for the book, which you can find in the Books section. I love the cover! It makes me long for summer and we haven't even had winter yet.